Milwaukee, WI, April 30, 2018 – The North Point Lighthouse and Museum is pleased to announce its May lecture, “The Magnificent Machines of Milwaukee,” Wednesday, May 9, 2018, 7-8:30 p.m. at the lighthouse, presented by author and historian Thomas H. Fehring. 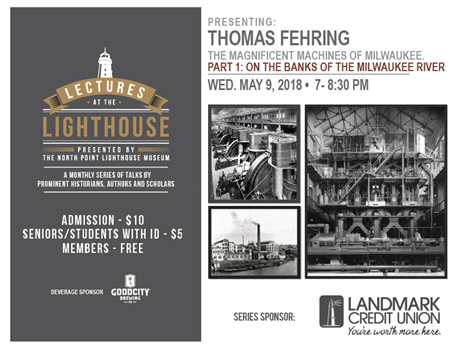 The lecture will be based on Fehring’s recent book, The Magnificent Machines of Milwaukee. Thomas, who worked as an engineer for We Energies for most of his career, is the chairman of the history and heritage committee of the American Society of Mechanical Engineers. The lecture begins at 7 p.m. General admission is $10 and $5 for seniors and students with an ID. 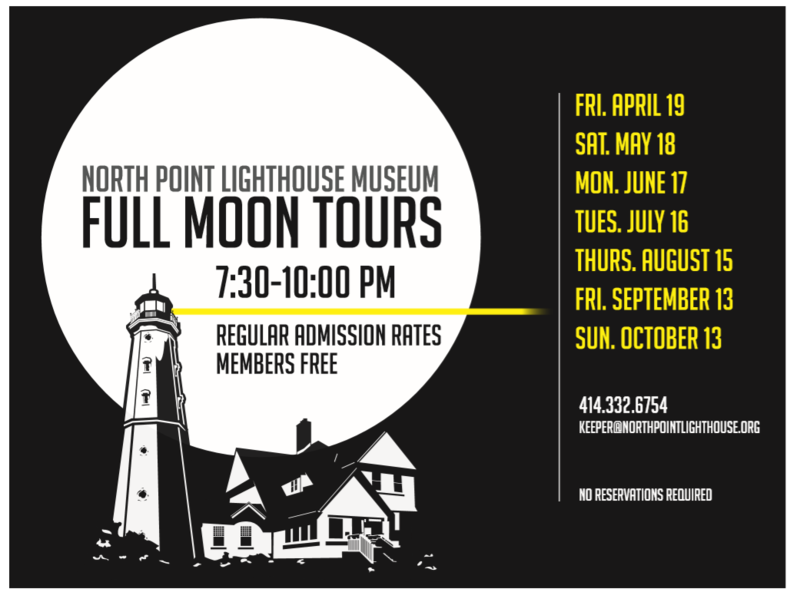 Lighthouse members are free. Complimentary beverages will be provided by Good City Brewing. Parking is available on Wahl Avenue and the Lake Park public lot just north of the lighthouse. The Lectures at the Lighthouse series runs from January through November and features prominent historians, authors and scholars who discuss various topics and fascinating stories related to Milwaukee and Great Lakes maritime history. 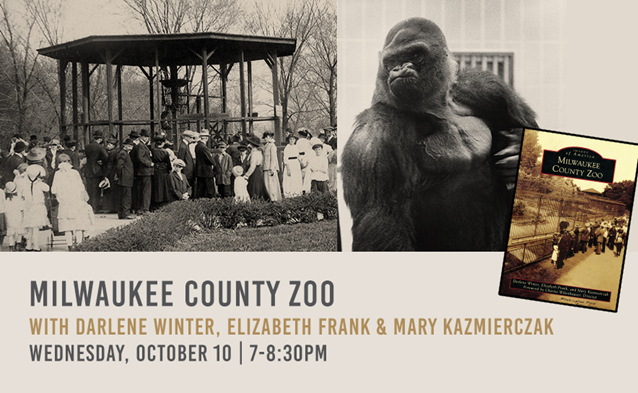 Lectures are open to the public and held at the lighthouse museum located at 2650 N. Wahl Avenue in Milwaukee’s historic Lake Park. Landmark Credit Union is sponsoring the 2018 lecture series. Visit northpointlighthouse.org/lecture-series to learn more about the 2018 lecture schedule, the speakers and their topics. The North Point Lighthouse and Museum, located at 2650 N. Wahl Avenue within historic Lake Park, is a Milwaukee maritime treasure. Each year, thousands of visitors from the surrounding community, region and around the world experience its beauty, history and charm. Built in 1888, the lighthouse tower and keepers quarters are open to the public every Saturday and Sunday from 1-4 p.m. throughout the year, and Thursdays from 10 a.m. to 2 p.m. during the summer. Visitors can experience a maritime museum featuring exhibits, artifacts and stories, and climb the 74-ft. tower. The lighthouse is also available for private events. The lighthouse has been preserved and restored as a maritime museum through the efforts of the North Point Lighthouse Friends, Inc. and has been open for public tours, visits and events since 2007. The mission of the North Point Lighthouse Friends, Inc. is to preserve the North Point Light Station, inspire appreciation of its importance in Wisconsin maritime history and promote its use consistent with the character of Lake Park and the surrounding neighborhood. 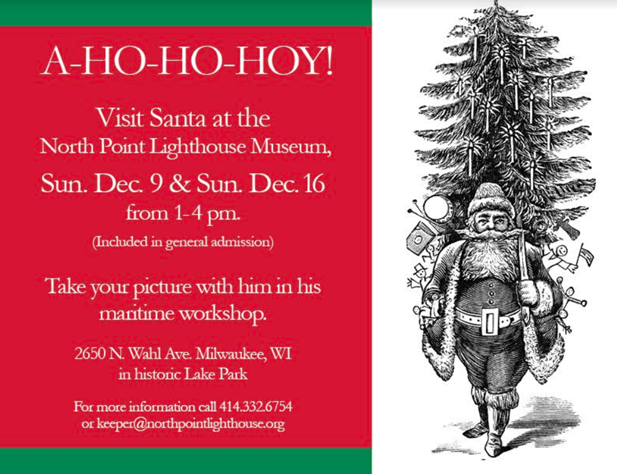 For information about lectures, tours and events, contact Sue Grzeca, 414-332-6754 or keeper@northpointlighthouse.org. Recent Press Releases by North Point Lighthouse Friends, Inc.
Apr 10th, 2019 by North Point Lighthouse Friends, Inc.
Nov 27th, 2018 by North Point Lighthouse Friends, Inc.
Sep 24th, 2018 by North Point Lighthouse Friends, Inc.